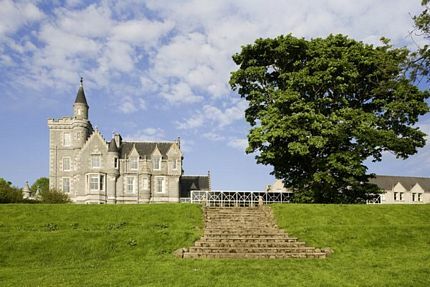 Special offer for a one-night break near Aberdeen with dinner and breakfast at the Ardoe House Hotel just outside Aberdeen. Stay for one night in a double room and enjoy their 4-star facilities which includes a spa, indoor pool and gym. Guests can also enjoy the tranquil gardens around this stunning 19th century manor house or relax in their lounge bar. In the evening you will both be treated to a three-course dinner. This package includes breakfast the following morning. Check in is from 2pm whilst check out is by noon.